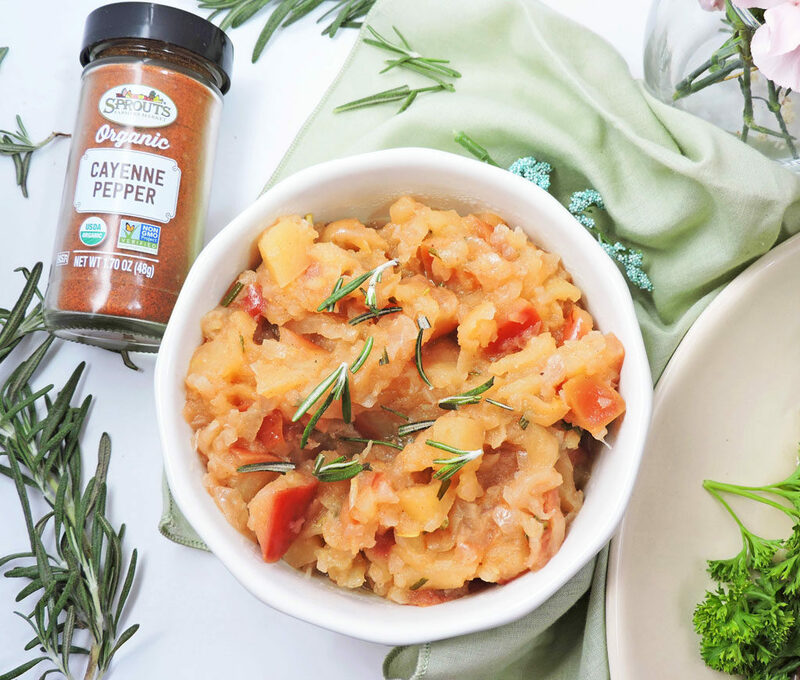 Thank you, Sprouts Farmers Market, for sponsoring this post! As always, all thoughts and opinions are my own. Can you believe that Easter is almost here?? I know that I’m not a kid anymore, but I get really excited about Easter. Maybe it’s because my mom still makes me an Easter basket every year! Lol! Since Easter is almost here, I’m getting an early start by bringing you a fantastic recipe…. 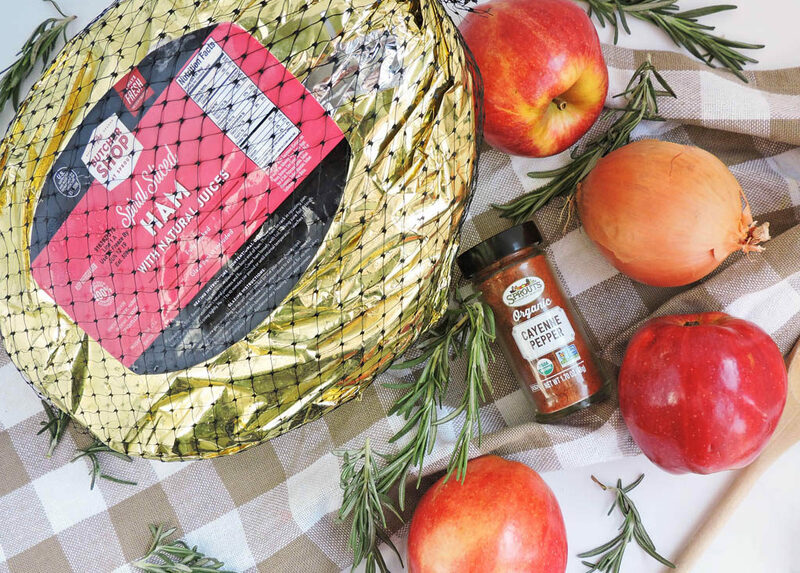 Spiced Baked Ham with Apple Chutney! This recipe may sound fancy, but it is SUPER easy to make! That’s because I got my Butcher Shop Spiral Sliced Ham from Sprouts Farmers Market! It came with its own glaze packet, complete heating instructions, and was fully cooked, so all I had to do was heat it and serve! If you haven’t noticed by now, I love to shop at Sprouts Farmers Market! They have such a huge selection of fresh produce, meat, and a few other items that I can’t live without! In addition to my Butcher Shop Spiral Sliced Ham, I picked up a few apples and fresh herbs for my apple chutney. If you’ve never had apple chutney, then you are in for a real treat! It’s the perfect compliment to almost any entrée! 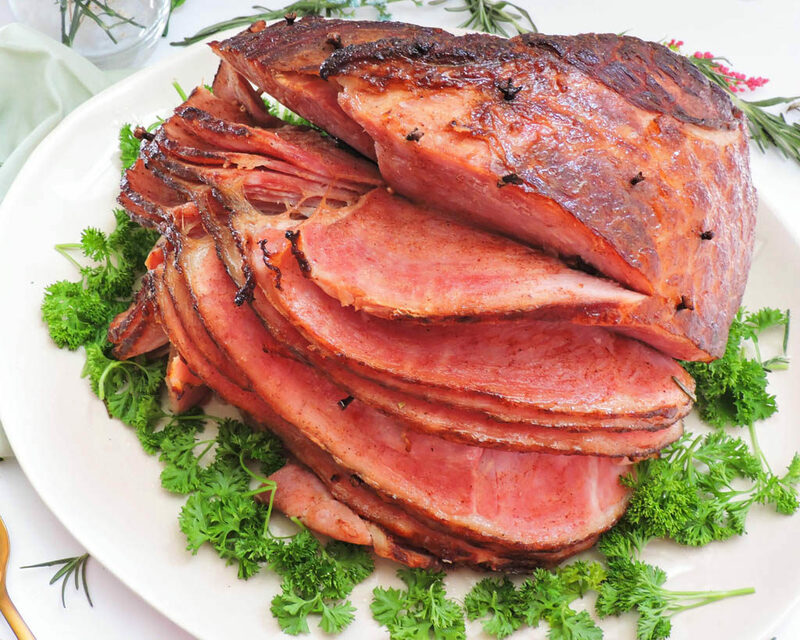 To add a little bit more flavor and spice to my gourmet cured, Butcher Shop Spiral Sliced Ham, I placed a few cloves along the outside of the ham. 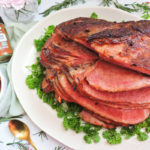 Since this ham was packaged in its own natural juices, it already had a delicious, hickory smoked flavor, but the cloves just added the perfect touch! While my ham was cooking, I whipped up the apple chutney on the stove top. 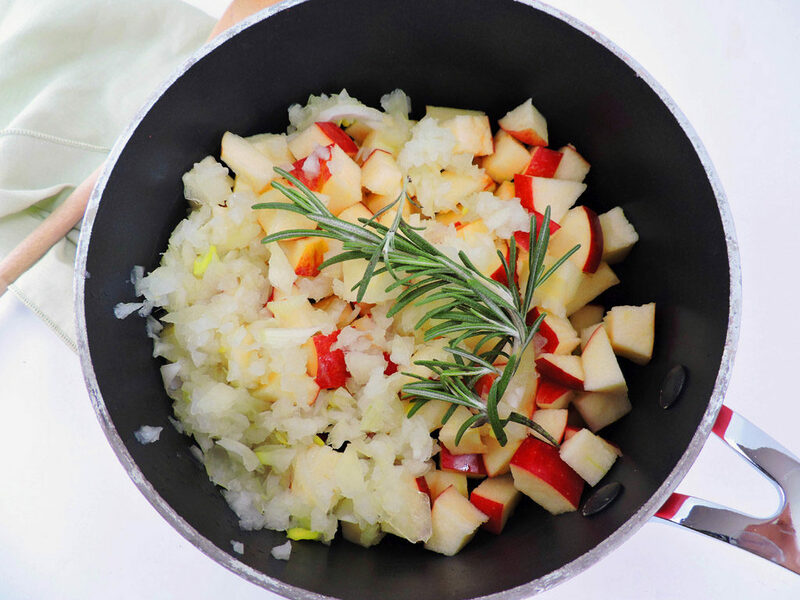 I placed my diced apples, onions, fresh rosemary, water and spices into a saucepan and let it cook! The apples provided a delicate sweetness, while the onions provided a nice, savory touch! 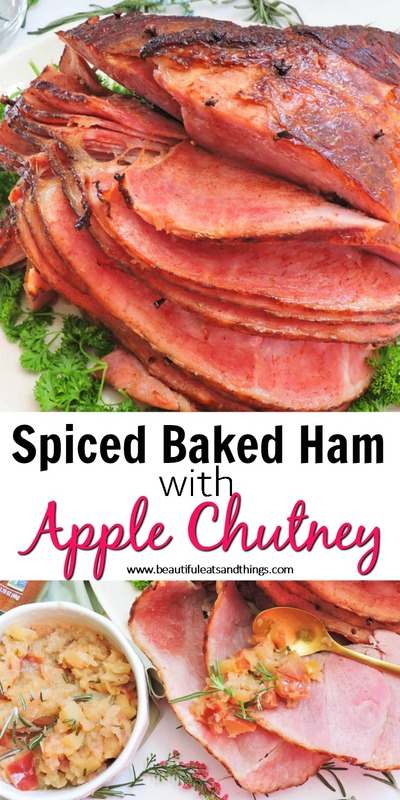 Once the ham was ready, I served it with the apple chutney and the taste was heavenly! 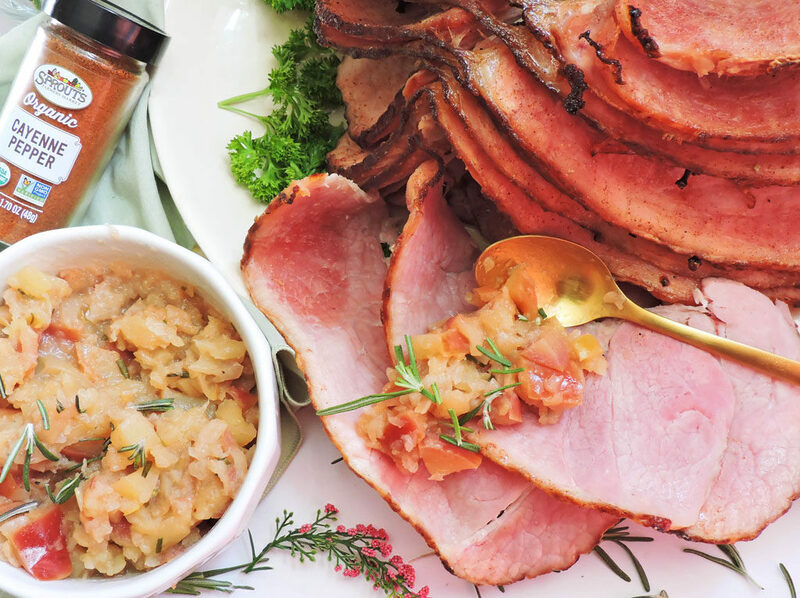 This Spiced Baked Ham with Apple Chutney is the perfect dish for your Easter meal! Be sure to head over to your local Sprouts Farmers Market to stock up on everything you need for your Easter feast! Preheat oven to 350 degrees. 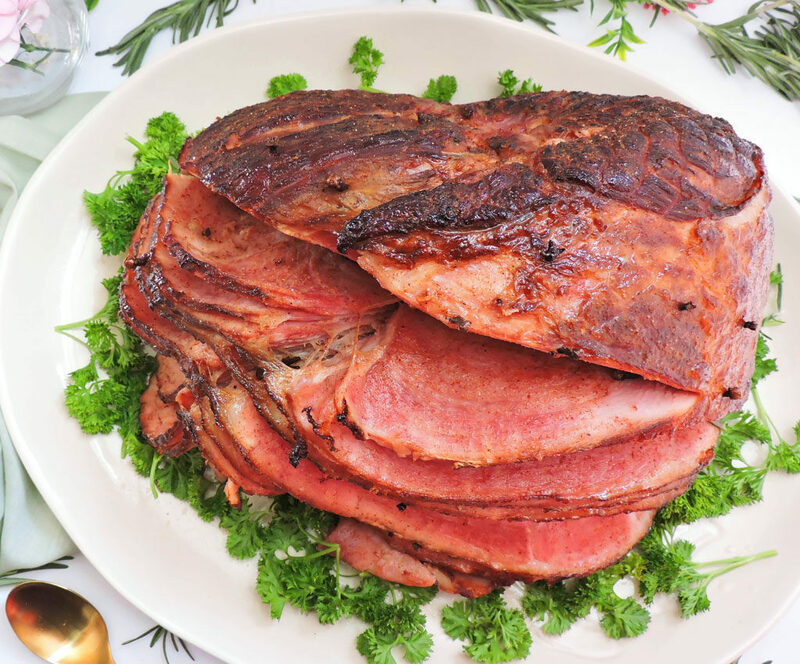 Remove ham from packaging, place glaze pack aside, and place ham in a large roasting pan. Place cloves along the outside of the ham; about 1 and ½ inches apart. Add about 1 inch of water to pan and cover loosely with foil. Bake for about 1 hour and 45 minutes, or 7-10 minutes per each pound. In a medium saucepan, heat 1 tablespoon of oil on medium-high heat. Add diced apples and diced onions to saucepan and cook until onions are soft. Add 1 cup of water, ¼ teaspoon Sprouts Cayenne Pepper, and 1 teaspoon of nutmeg to saucepan and stir until mixture starts to boil. Cover and reduce heat to low. Once apples are completely soft, remove from heat and add salt/pepper to taste. 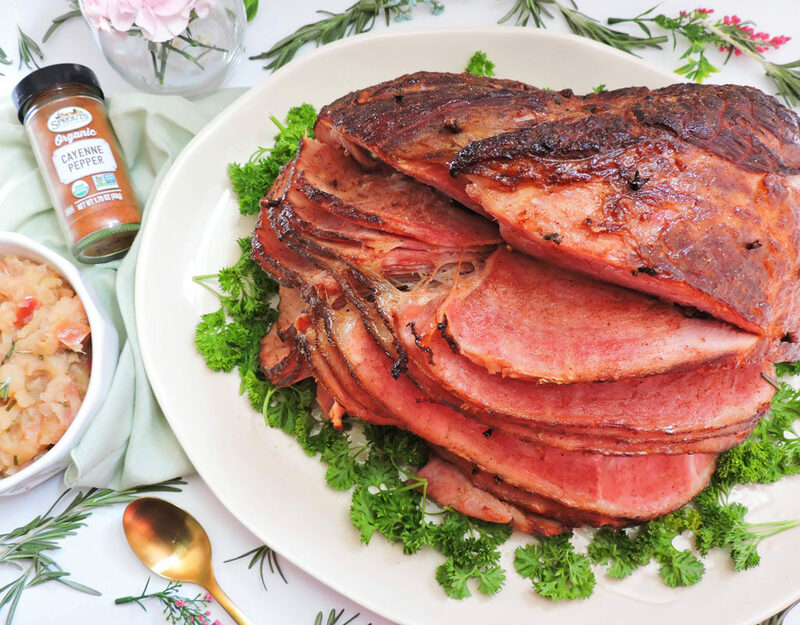 When the ham is done cooking, make glaze according to the package instructions, and spread on the outside of the ham. Turn oven up to 425 degrees and bake ham, uncovered, for about 10 minutes or until glaze starts to bubble. Serve with Apple Chutney and enjoy!